We would like to invite you for a small and informal gathering. The aim is to meet, connect and discuss a specially selected text that brings together culture and nature. We are happy that the next reading of this sprouting initiative will be held at Zabriskie. 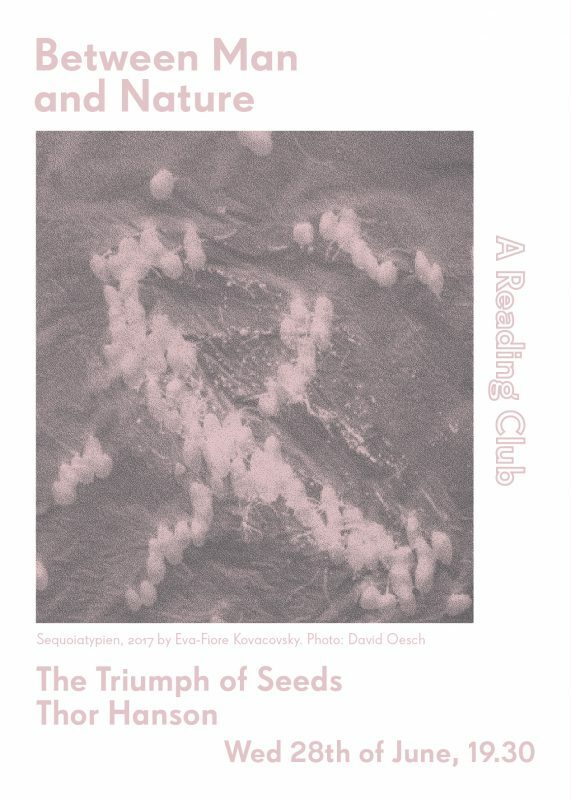 The text is selected by artist Eva-Fiore Kovacovsky and is a passage from Thor Hanson’s “The Triumph of Seeds”. The book talks about the strategies plants use to pack their seedlings with the perfect lunch and how seeds “conquered the plant kingdom and shaped human history”. During the reading we will particularly focus on how seeds allow plants to travel through time. Please rsvp via email to sina.ribak@gmail.com and we will send a PDF of a selection from the book to those who would like to attend the reading. We will discuss the text as well as read some passages together. We invite you to discover some insights in the world of seeds and to join us with an open mind.